Utah received less than half its funding for programs aimed at enrolling Utahns for insurance. Advocates say the sweeping cuts could have a large impact on minorities, especially within the Latino community. Relief washed over Luis Rios as he stood among the bundled-up crowd watching the Hispanic Heritage Parade on Saturday. The smiles, laughs and celebrations taking place at The Gateway were a welcome escape from the worries Rios has felt in the past few weeks. The event came on the heels of drastic funding cuts for programs that help people enroll for Affordable Care Act (ACA) insurance. The reductions have directly impacted Rios’ work doing just that with the Utah Health Policy Project (UHPP), and he fears they could mean fewer Latinos will get insured this year. “With all the administration changes, the Hispanic community needs an organization or group that can help with health insurance that they can trust,” he said. The second annual parade is an opportunity for Rios and others to build that trust and connect with the Latino community about ACA insurance, also known as Obamacare. 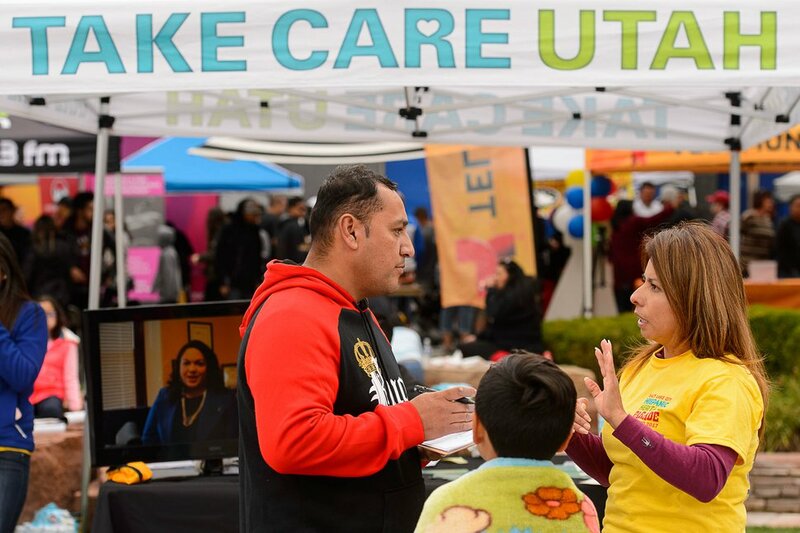 Rios talked with interested paradegoers at the booth for Take Care Utah, an enrollment assistance network that put on the event. Rios signed people up for meetings to learn about health insurance coverage. He hopes his efforts with UHPP and Take Care Utah will help offset some of the cuts the enrollment programs have experienced. Overall, the Centers for Medicare and Medicaid Services cut navigator grant funding — federal dollars awarded to help states enroll qualifying residents for Obamacare — to $36.8 million, down 41 percent from last year. Advertising for this year’s open enrollment period also was reduced to $10 million from $100 million. Utah’s recipients — UHPP and the Urban Indian Center — will receive less than half their ACA outreach funding from last year, about $395,000, CMS data show. UHPP lost about 61 percent of its funding and is now working with about $290,000, Randal Serr of UHPP said. The organization has since shut down four of its eight enrollment programs and could shut down more in the new year. The Latino population will feel the effects of these reductions the most, Serr said. About half of the people UHPP helps with enrollment are Latino, many of whom aren’t native English speakers. About 17 percent of Hispanic children in Utah are uninsured, according to a 2016 report from the Georgetown University’s Center for Children and Families. Utah’s percentage is more than double that of the national average. The funding cuts create yet another barrier to reaching Latinos, Serr said, with many already wary to sign up for fear that giving their information could get them deported. “We want people to know that Obamacare is still here and we can help them through that process in a safe way,” Serr said. For the Urban Indian Center, the cuts will force the nonprofit to reduce the hours of its three full-time employees dedicated to helping with ACA enrollment, executive director Anthony Guzman said. The center — which now has less than $110,000 to work with — has two employees based in Salt Lake City and another in Fort Duchesne working with the Ute Tribe. Guzman doesn’t doubt that fewer American Indians, and Utahns in general, will get enrolled for Obamacare this year as a result of the cuts. “With a community that already has some struggles with health and mental health, anything that takes away from helping them makes our work even more challenging,” Guzman said. Other groups that provide enrollment assistance without the federal grant are bracing for an influx of potential enrollees thanks to the reductions. 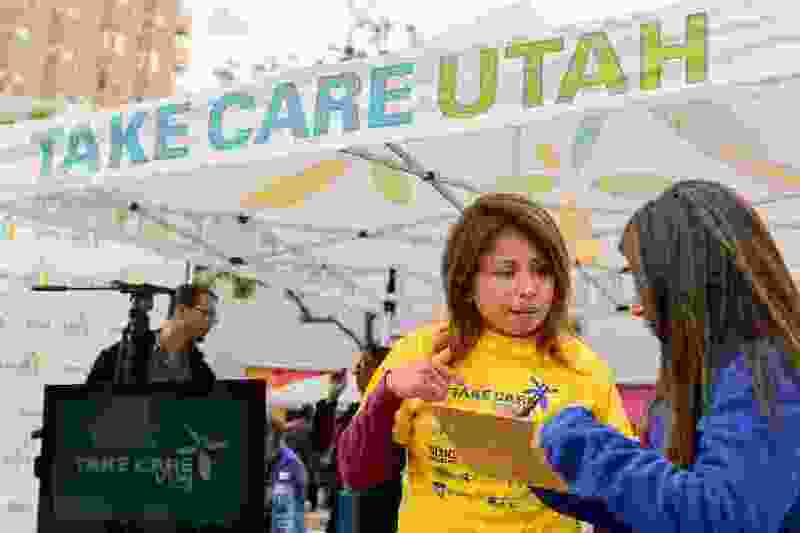 With less manpower to get people enrolled, Alan Pruhs of the Association of Utah Community Health is expecting an increase in traffic among community health centers along the Wasatch Front. Rios and others assisting UHPP with Obamacare enrollment plan to attend more events and partner with other organizations in the weeks leading up to open enrollment on Nov. 1. This year, ACA enrollment ends Dec. 15. Talking about health insurance is complicated, Rios said, and bringing the information to people in a relaxed environment makes it less intimidating.